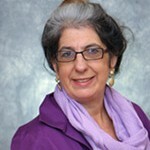 Dr. Sukey Blanc is the founder and principal researcher at Creative Research and Evaluation. She negotiates contracts with clients, develops research designs, manages sub-contractors, oversees quantitative and qualitative data collection and analysis, and has primary responsibility for written and oral communication with clients. Dr. Blanc is an active member of the independent Consulting Topical Interest Group of the American Evaluation Association. Her work has centered on evaluation and participatory research in urban schools and universities, with a focus on educational equity. She is a former middle school math teacher, an urban anthropologist, and a skilled qualitative researcher with experience in developing, managing, and implementing evaluations of educational programs. Dr. Blanc has more than 20 years of experience providing formative and summative evaluation services to K-12 educators, university-based programs, and community partners. She also has extensive experience in evaluating programs intended to improve educational quality and ccess for first-generation college students and young people in under-represented groups in science, technology, engineering, and mathematics (STEM). She has conducted numerous evaluations of National Science Foundation-funded STEM education projects. Prior to founding CR&E, Dr. Blanc was a research associate at Research for Action. Topics of Dr. Blanc’s recent articles include civic engagement for students, virtual mathematics tutoring and the use of data in Philadelphia schools. She also has coauthored articles about student achievement in privately managed schools and charter schools. Dr. Blanc has a deep interest in urban life and has documented aspects of urban life such as community arts, community revitalization, and community organizing. She has learned that students, teachers, and others involved with urban schools and communities have deep and well-founded insights about the strengths and challenges of their work. In a longtime collaboration, Dr. Diane Brown has worked with Dr. Blanc on many evaluations related to improving opportunities for urban youth. In her work with CR&E, she brings her extensive knowledge of literacy, her expertise in adolescent development, and her experience with action research programs. Dr. Brown is an instructor in the University of Pennsylvania’s Teach For America program where she teaches Child and Adolescent Development. She recently retired from Research for Action, where her projects as a senior researcher included studying African American girls in middle and high school. Dr. Brown a 40-year veteran educator, worked for many years for the School District of Phildelphia. 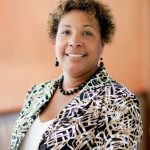 She earned a doctorate in education and a master’s degree in educational leadership, both from Lehigh University, and a bachelor’s degree from Cheyney University in secondary English. 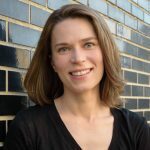 Alexis Howland received a Masters of City Planning from the Massachusetts Institute of Technology and a BA in Economics from Brown University. 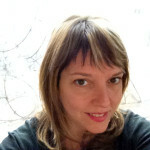 She specializes in conducting analytical work related to urbanism, cartography, and digital technology. She is an independent consultant who complements Creative Research & Evaluation skillset through her analytic and presentation experience with tools such as GIS, Stata, InDesign, and SQL. Examples of Howlands work in visualizing of complex urban issues can be seen at http://alexishowland.com/. Dr. Marcine Pickron-Davis brings over 25 years of experience in the field of civic engagement, diversity, and inclusion in higher education. During her 13-year tenure at Widener University, she assumed leadership in advancing the university’s civic engagement and diversity strategic goals. Her research and scholarship has focused on university-community partnerships, community-based research, and anchor-based engagement. Recent publications include: Harris, J. & Pickron-Davis, M. (2016) “Case Study on Widener University and Chester: A Story about Conflict and Collaboration” in Higher Education for Democratic Innovation. 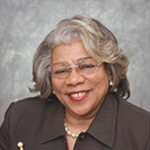 Prior to her arrival at Widener, Dr. Pickron-Davis served as a Research Associate for Research for Action. She earned her doctor of philosophy degree in educational leadership at the University of Pennsylvania. 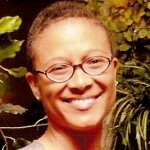 Dr. Celine I. Thompson, Ph.D. is a graduate of the University of Pennsylvania Graduate School of Education. She completed her doctorate degree in Interdisciplinary Studies of Human Development in August 2012, with her dissertation research focusing on identity development from a “racially-gendered” intersectional perspective in Black female adolescents. In addition to program evaluation, her other interests include studying student perspectives of social justice issues in the classroom and historical preservation. She also received a B.A. in Psychology, minor in African-American Studies, and M.S.Ed. in Psychological Studies from the University of Pennsylvania. Beth Uzwiak is an ethnographer and artist with a deep commitment to community engagement. She is adjunct fellow at the Center for Public Health Initiatives at the University of Pennsylvania with expertise in medical anthropology and qualitative methods. Her research examines community-based and grassroots social movements with a focus on gender equity and antiracist activism. A recent research article, “Gendering the Burden of Care: Health Reform and the Paradox of Community Participation in Western Belize” was published in a special issue of Medical Anthropology Quarterly. Evaluation projects include the Food Bank of South Jersey, the Alice Paul Institute, Norris Square Neighborhood Project, and the PA Humanities Council. Recently, she was the researcher for a social practice art collaboration between the Mural Arts Program and Cohabitation Strategies in South Philadelphia. She has exhibited art work in many places, including the Philadelphia Museum of Art, Woman Made Gallery, and Delaware Center for the Contemporary Arts.